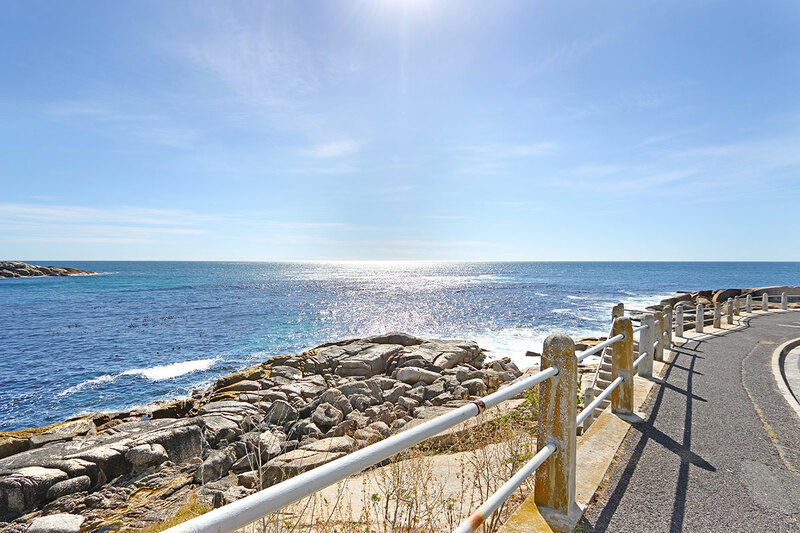 Why stay at BANTRY BLISS? 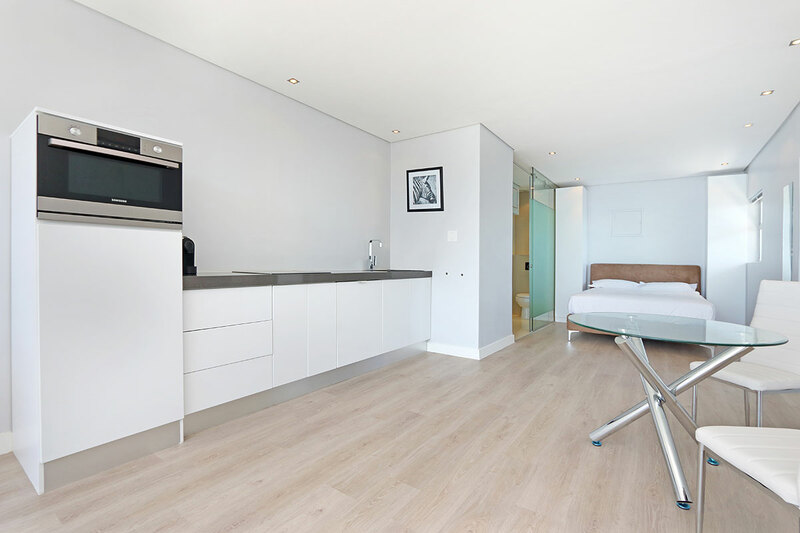 Bantry Bliss offers an open plan modern minimalist studio apartment on the 5th floor. 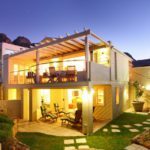 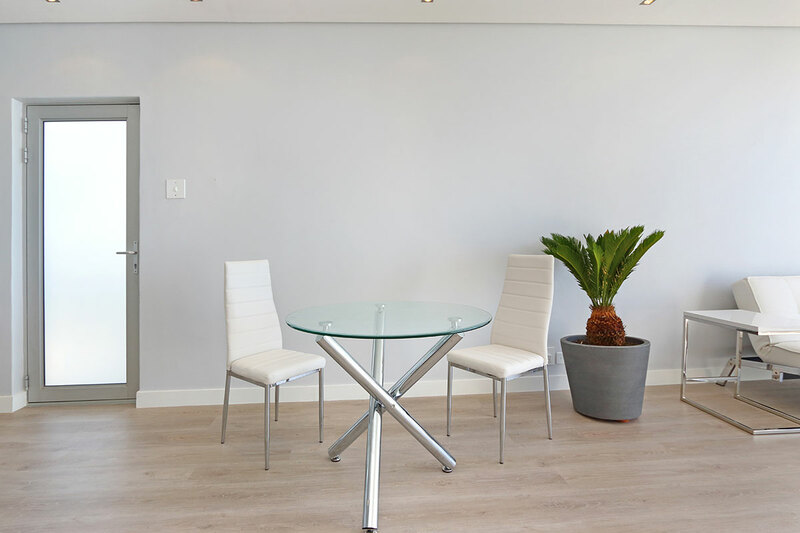 Furnished in soft tones of grey and white Bantry Bliss is ideal for a holiday couple or corporate traveller looking for a unique base on Cape Towns Atlantic Seaboard . 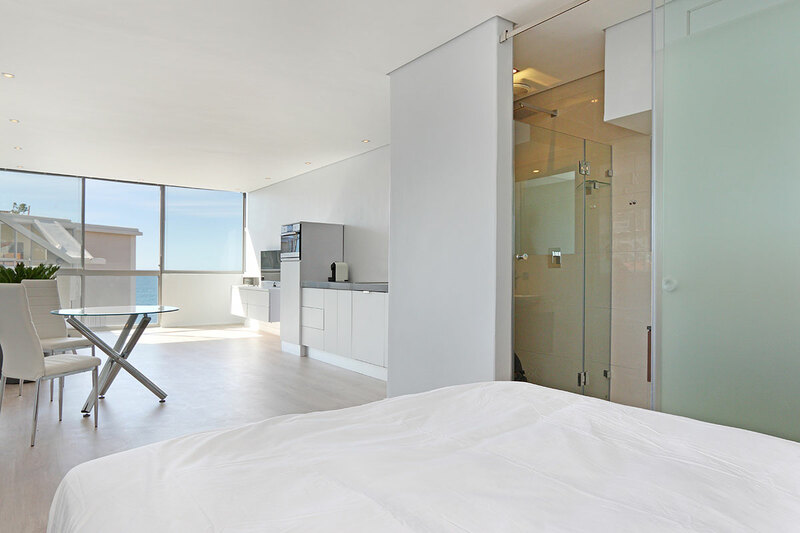 Wake up with a nespresso and a peak of the Atlantic Ocean from your large sliding windows. 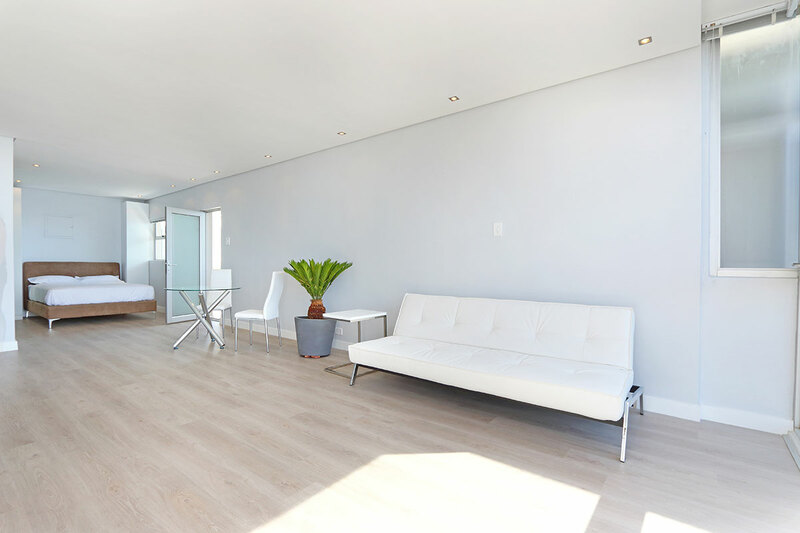 The lounge area is equipped with tv and speakers to play music on. 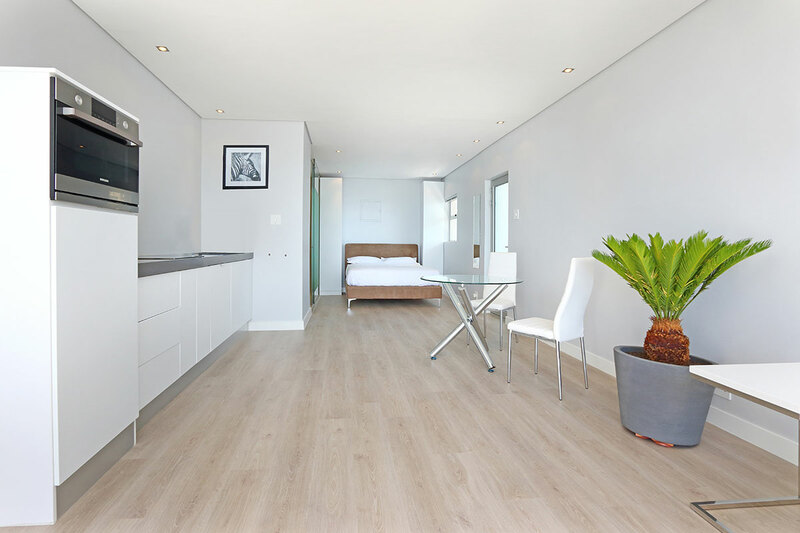 The open plan lounge leads onto the kitchenette which offers a bar fridge, stove and small confection oven along with espresso machine and dishwasher. 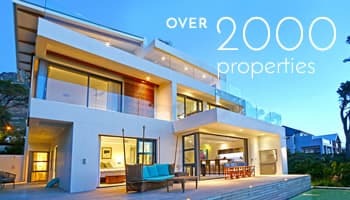 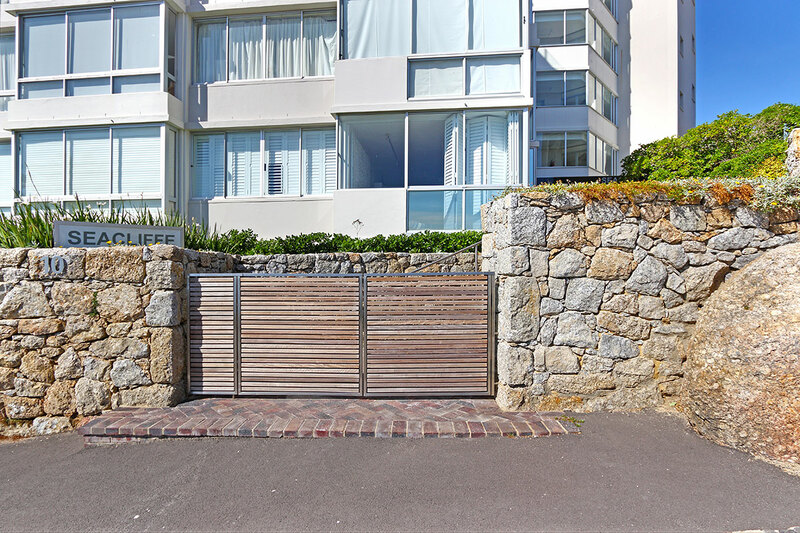 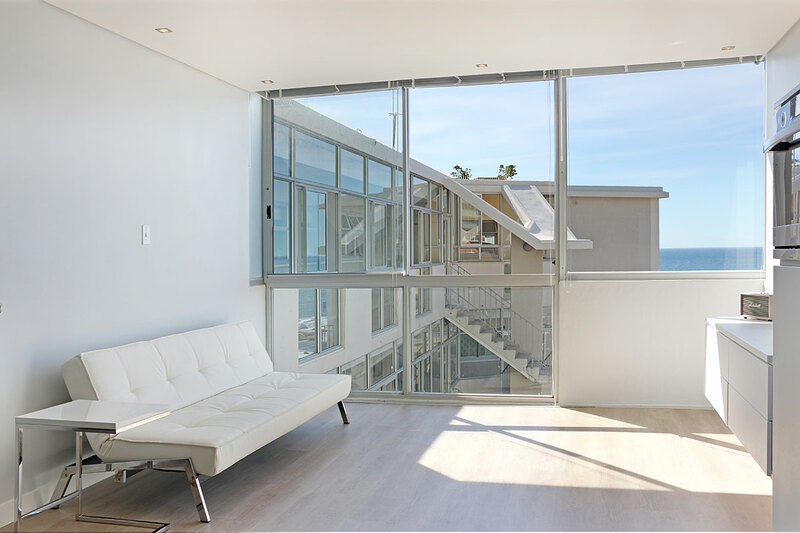 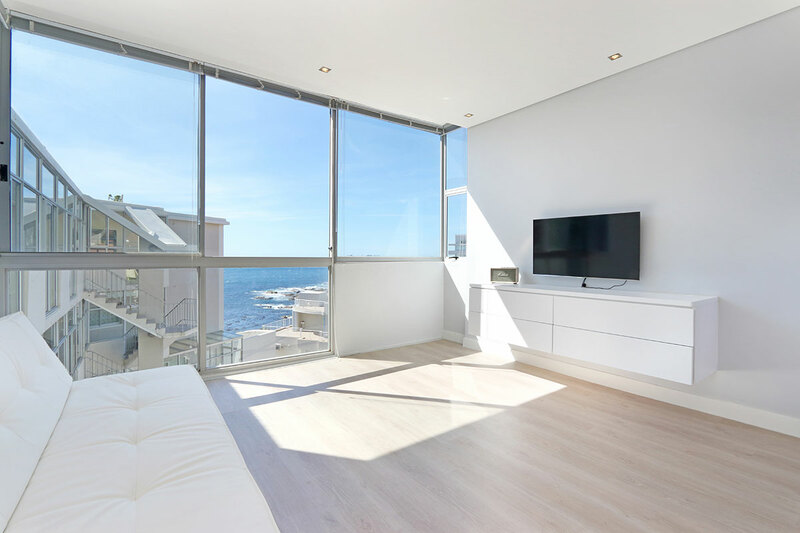 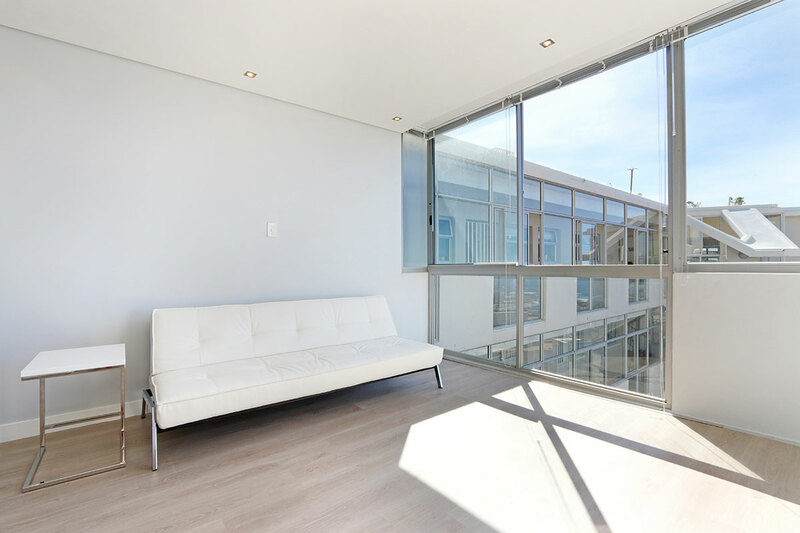 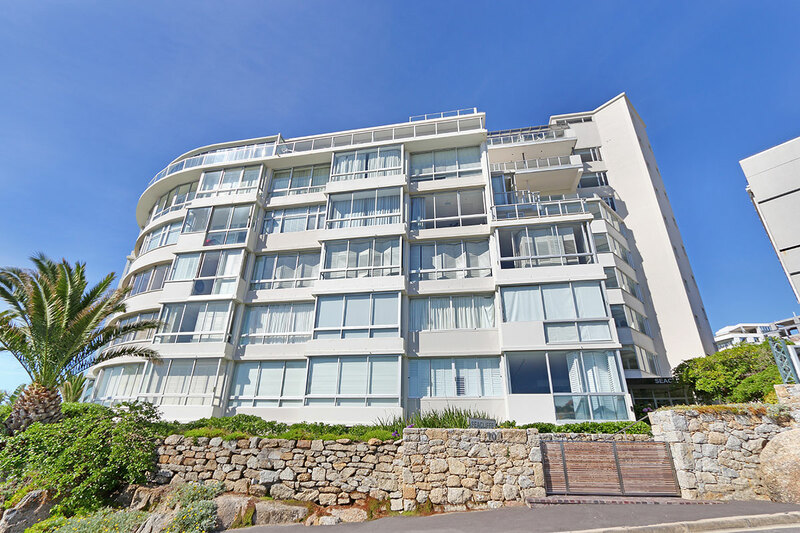 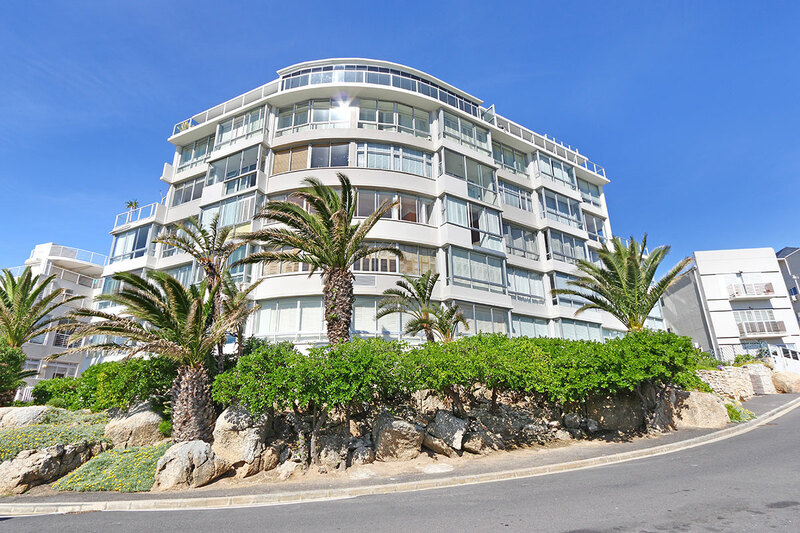 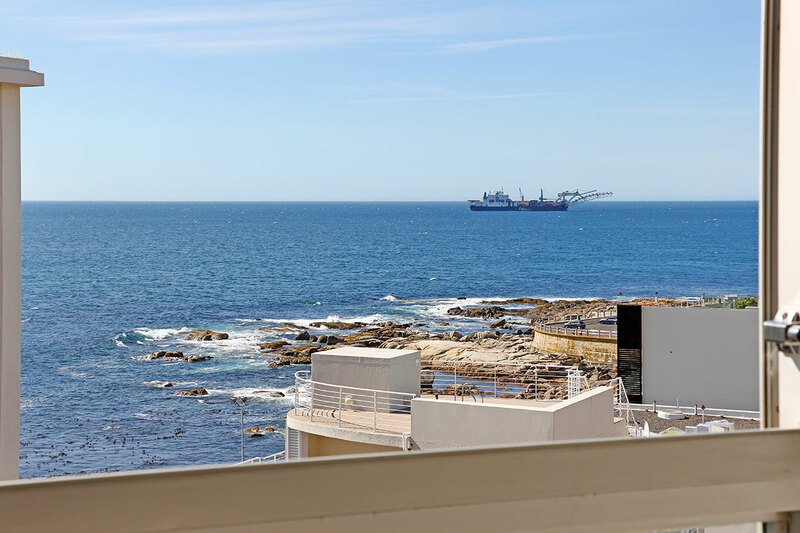 Located in Bantry Bay the apartment offers an ideal base to experience both the Cape Town City Bowl, Waterfront and Clifton Beaches. 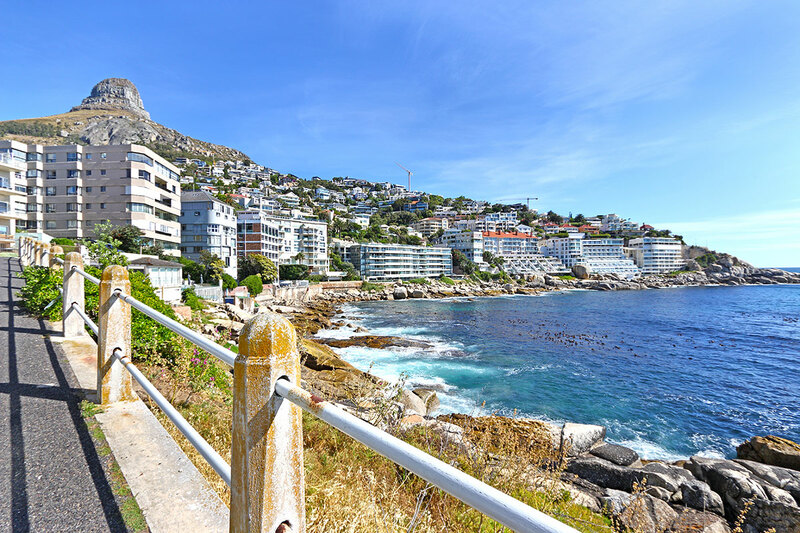 The promenade and small beaches are just across the road. 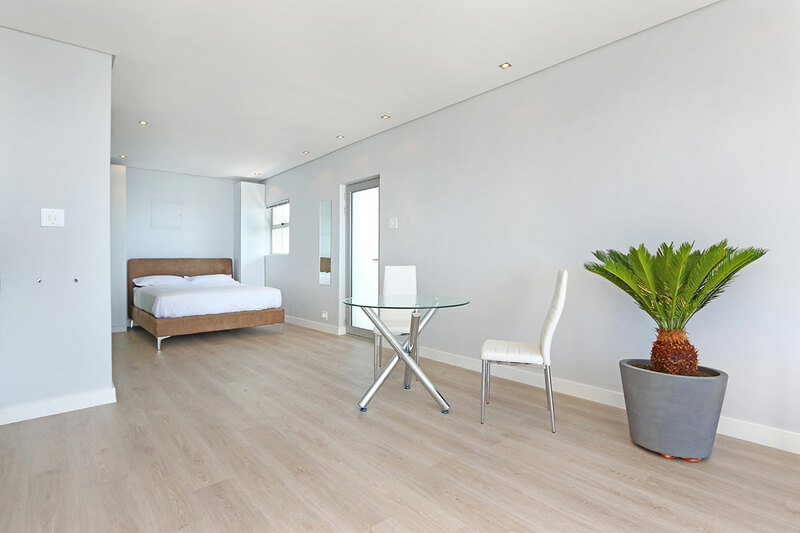 The Cape Town International Convention Centre is only a 15 minute away and 30 minutes from the Cape Town International Airport. 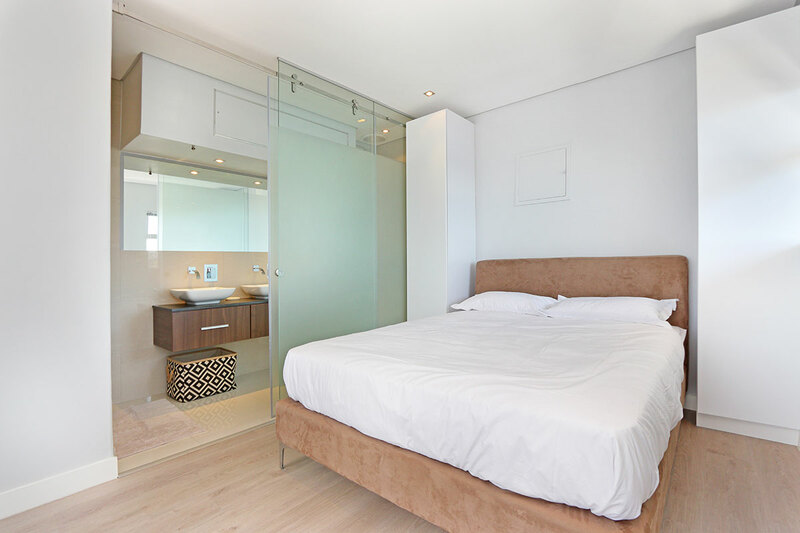 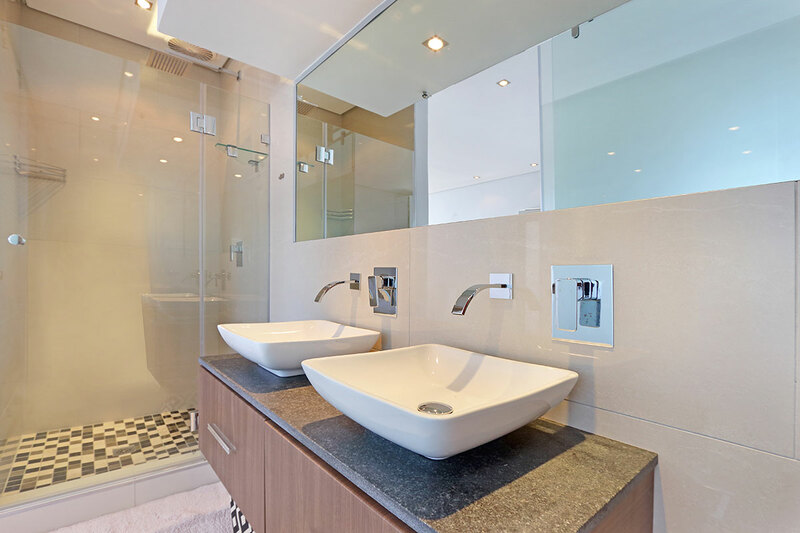 This compact contemporary apartment is ideal for a couple or the business traveller. 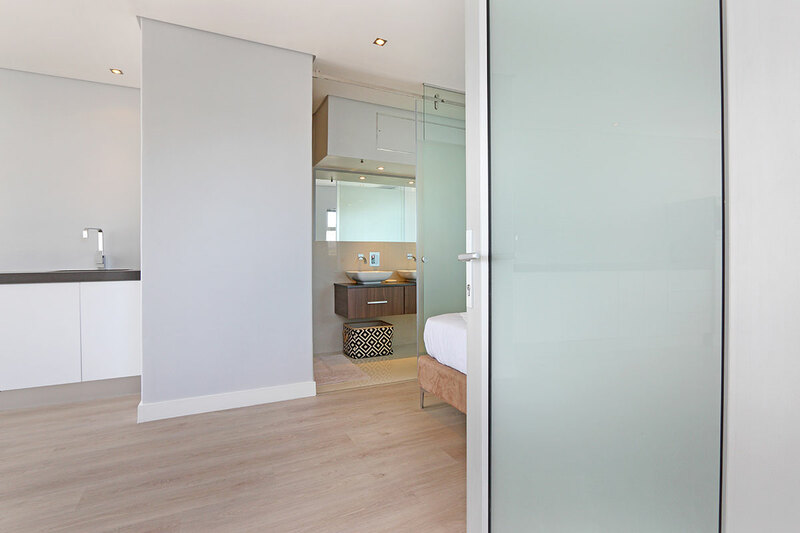 Ready to stay at BANTRY BLISS?